Taking a stand. In a scene filmed before she was robbed at gunpoint in Paris last month, Kim Kardashian implores sisters Kendall Jenner and Khloé Kardashian to make an effort in helping effect gun-law changes on Keeping Up With the Kardashians&apos; Sunday, November 13, episode. The E! unscripted series&apos; preview clip shows Kim, 36, trying to convince Jenner, 21, that using their platform to support tighter restrictions on buying firearms is worth any backlash they might receive from people who don&apos;t agree with the cause. "I&apos;ve been meeting with Everytown, an organization that is fighting to change all the gun-control laws," Kim says to the camera. "There&apos;s so many loopholes in the system, and I just feel really passionately about how our gun-control laws have to change." 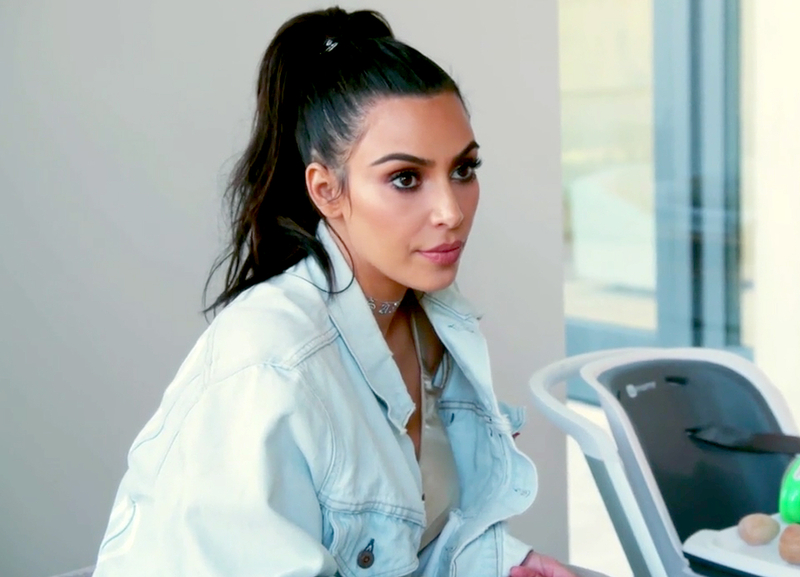 After hearing Kim&apos;s pitch, Jenner tells her, "I want to do this, and I want to be a part of it, but it just makes me nervous what people are going to think of it. You don&apos;t know who&apos;s going to actually be for it, and who&apos;s not." Kim counters, "And that&apos;s why a lot of people don&apos;t get involved, I&apos;ve learned, because you can get a lot of backlash. … I feel like in life I&apos;ve gotten a lot of backlash, and I&apos;ve gotten a lot of hate, so I&apos;m just going to stick up for what I believe in and what I want." The episode was taped prior to Kim getting attacked in her Paris apartment on October 3 by five men, who stole a reported $10 million in jewelry. The intruders held her at gunpoint and gagged and bound her with tape while ransacking the apartment.